UNITED KINGDOM – The buyout of Acacia Mining’s minority shareholders by the new, larger Barrick Gold is one option, said Mark Bristow, CEO of Randgold Resources. Toronto-based Barrick, which owns about 64% of Acacia, and Randgold are merging in a $7.9 billion share deal that will see Barrick gain control over one of its fiercest competitors. Barrick shareholders have given a big thumbs up to the merger with Randgold with Bristow as the bigger company’s CEO. Earlier today Randgold shareholders gave a resounding “yes” to the deal, as well. 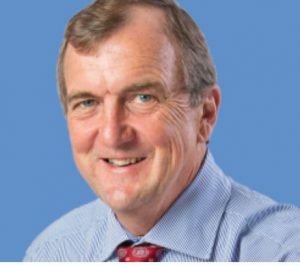 Randgold has several African assets, but Barrick distanced itself from that continent when it created Acacia and sold off 36% of the company. Acacia has three operating mines in Tanzania and is engaged in a protracted and ugly disagreement over taxation with the government of Tanzania. What will Barrick do? Sell Acacia and clear out of Tanzania is one option. Rely on Randgold’s projects elsewhere on the continent is another. Or will Barrick attempt to polish its image in Tanzania – if that is possible. Developments are going to be interesting. Certainly, executives at Barrick will be taking a long view of the new situation. What remains is the “how” they are going to get the most out of the merged company.